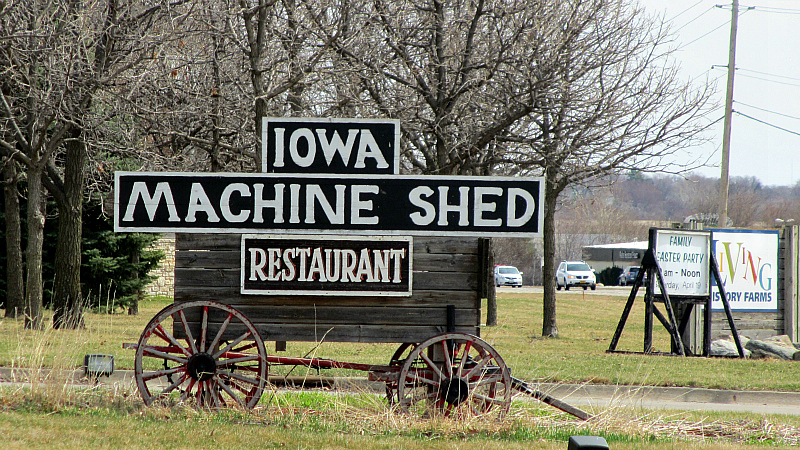 The Machine Shed is probably the busiest restaurant in all of Iowa. I can't think of any place that gets through as many guests as this place, and it has a giant parking lot and multiple dining areas to keep the flow of people moving. The Machine Shed gets a lot of visitors with out-of-state license plates, and has a bit of a reputation as a place where visitors go to eat when driving through on the interstate. Directions: Its right off the Hickman exit from 80/35 in Urbandale, in the Western suburbs of Des Moines. Online at: Website for Des Moines location is HERE. 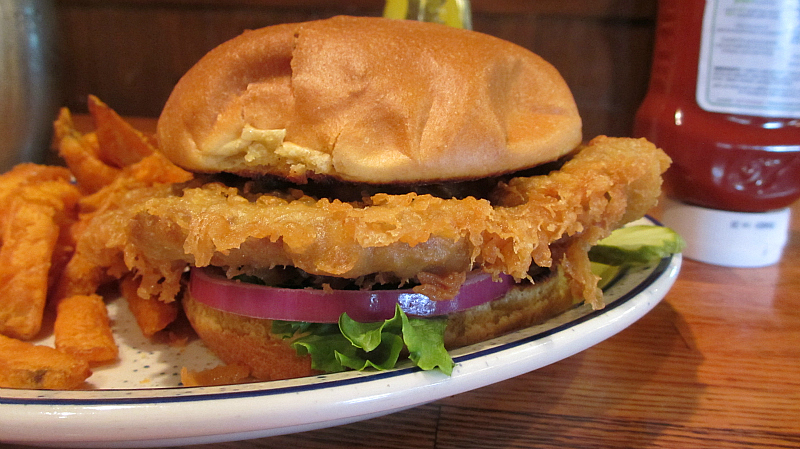 The Tenderloin: The first thing you notice is the flaky and slightly oily batter covering the pork meat. 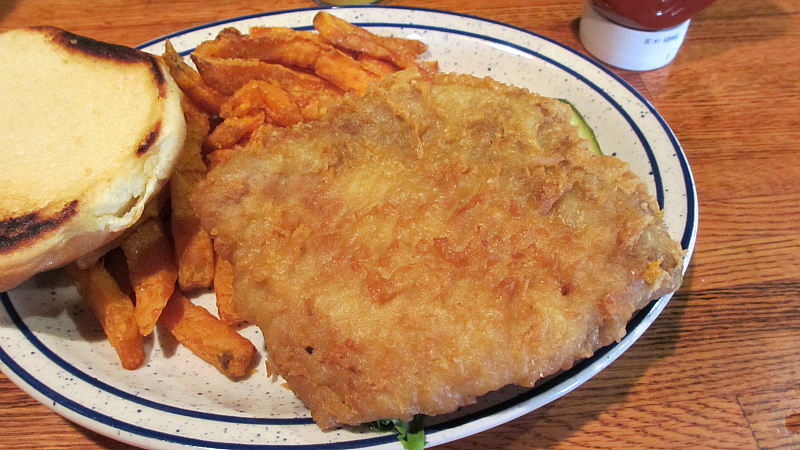 It had a nice crisp crunch, and the meat was deeply juicy. My tenderloin had some slightly grey loin meat, and there were tiny bits of untrimmed fat in between the grain of the meat. This was not enough to detract from the softness of the meat, which was good throughout. 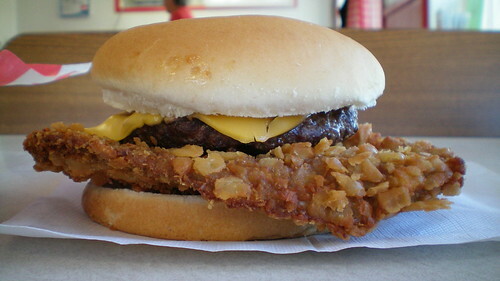 Served with onions, tomato, pickle on a gigantic soft toasted bun. Overall 7.9 out of ten. Price: $8.99 with soup and a side. I went with the chili and sweet potato fries. 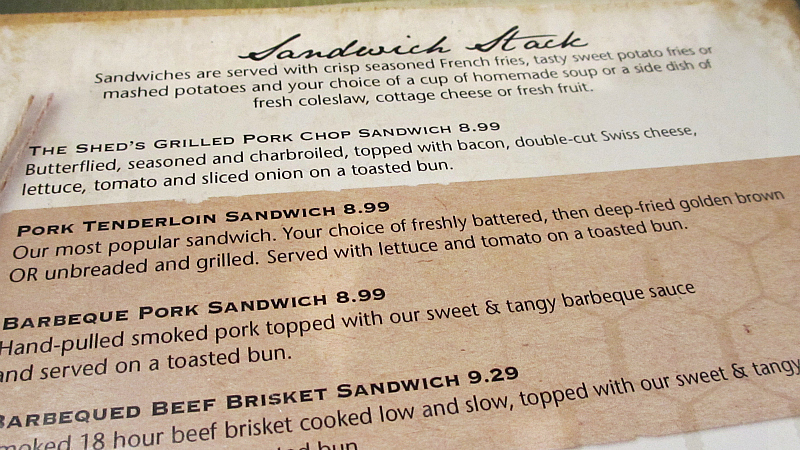 Also on the menu: The menu is huge and filled with simple midwestern American foods like double cut porkchops. The breakfast or brunch buffets are decadent and huge, and prices are always very reasonable. There are also desserts like pies and giant cinnamon rolls available at a to-go counter. Service: The servers are dressed like farm workers in denim overalls and service was okay when I stopped in. 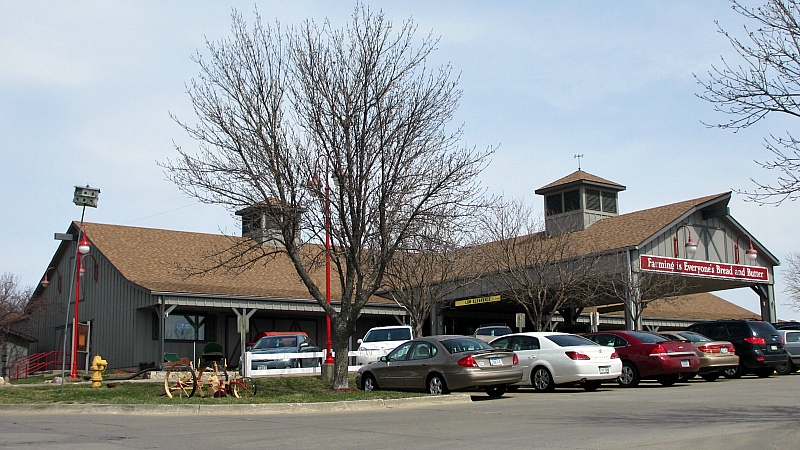 Ambiance: The giant building right off the highway is filled with farm themed antiques, and there is a gift shop to walk through before getting to the dining area. 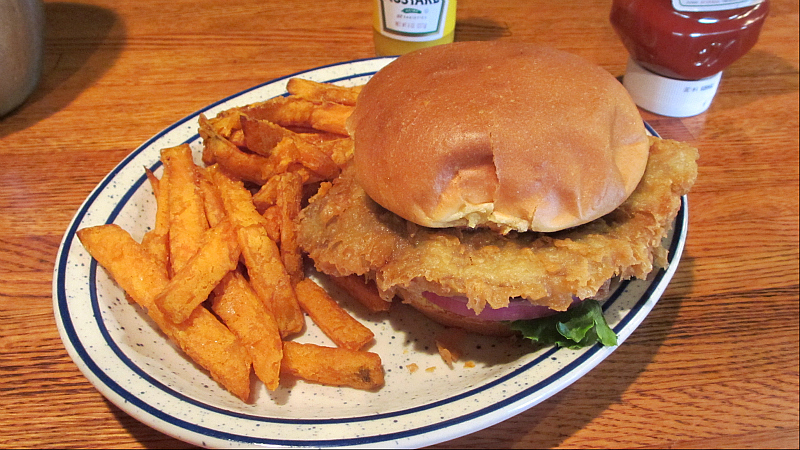 Final Thoughts: The menu claims the breaded pork tenderloin is their most popular sandwich, I thought it was everybody's most popular sandwich.